The Rev. 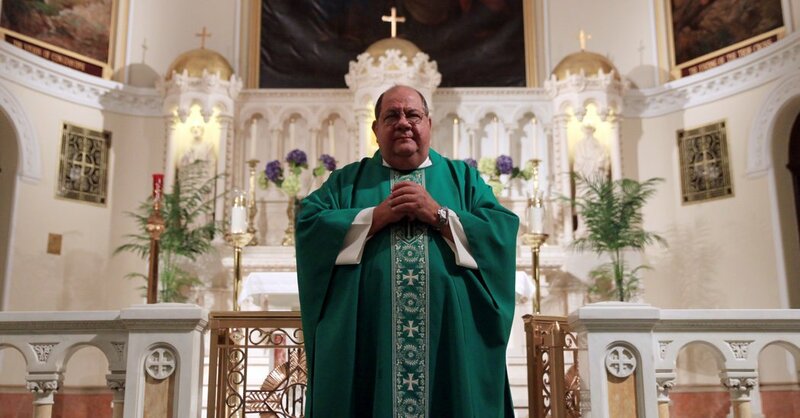 Peter M. Colapietro — one of the city’s most beloved priests and The Post’s resident Catholic expert — died of emphysema on Monday night at the age of 69. He spent two decades at Church of the Holy Cross parish on West 42nd Street, where he served as pastor and parish administrator then reassigned to St. Monica’s on the Upper East Side. Father Pete grew to become one of New York’s most personable priests. He famously stopped actor Mickey Rourke from killing someone by placing the gun behind the statue of Saint Jude. Everyone from Mickey Rourke to former NYPD police commissioner Bill Bratton pulled up a stool to shoot the breeze with Father Pete. Father Pete befriended dozens of Post reporters and editors over the years, and also penned columns. “He was the Pope of 42nd Street,” joked former Postie Jeane MacIntosh. In the past few months, MacIntosh had been visiting Father Pete in the hospital. It was that lovable sense of humor and down-to-earth attitude that made Father Pete a favorite among residents, particularly police officers. “In some respects, he’s one of the iconic figures of the city of New York,” explained Bratton.